This Friday, CLUE+, in collaboration with OZ Architects, has invited the urban planner/architect Alejandro Echeverri from Medellín to explain how urban planning has played a role in the (social) transformation of the former ‘narcocity’ into a city that can be considered a model for urban reform in Latin America. His lecture is entitled Medellín, Social Urbanism. Spatial justice and urban narratives. The lecture will be followed by a second part, in which three young Dutch scholars will present their research on various aspects of spatial transformations of the Dutch city, followed by a general discussion and drinks. Friday 1 December, 13:30-17:30, Room HG-KC0. Please register here. During the 1980s and 1990s, drug trafficking came to dominate part of the city, and this made its social segregation more visible. Most of the city’s social and urban problems were concentrated in the north part of the city. Violence and crisis had caused many streets to become the territory of illegal groups. The great challenge was to make the city more transparent, to open it, to build trust, and to change perceptions toward the city as a whole. 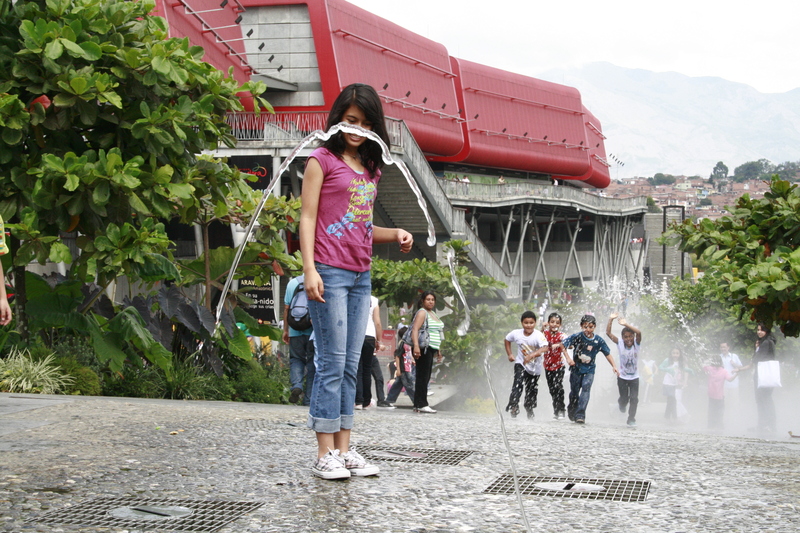 From 2004 Medellin became a living laboratory through educational, cultural social programs and physical transformations, that focused on its northern neighborhoods where the most structural inequity problems and violence existed. Our recent experience of urban and social transformation (achieved and ongoing) that has taken place in Medellin Colombia in the last years has allowed us not only to experiment within the different disciplinary core of urbanism, architecture, and landscape, but also as a way to create practical tools and scopes to deal with urban and social affairs within politics. Most of this operation has taken place in marginalized neighborhoods, with the objective of making viable a more sustainable model of performance from a social and physical-environmental perspective. In 2010 we createdURBAM, The Center for Urban and Environmental Studies at EAFIT University in Medellin. URBAM is an urban projects agency and research center that focuses on emergent territories with problems of inequity and exclusion. Being accustomed to growth, we sometimes forget shrinkage is a recurrent phenomenon in urban history. In the long eighteenth century (1680-1830) the urban network of Holland faced a period of economic and demographic decline, which became spatially visible in severe demolition practice and ‘empty towns’. Where in the affected cities did decline and demolition prevail? And how did governments try to limit the damage to the townscape and treasury? A comparative analysis of the shrinking towns of Hoorn and Enkhuizen gives a first impression of the spatial pattern and management of urban decline in the urban network of Holland. Due to its profitable location the Randstad area developed into the economical and demographical core of the Netherlands. From the twelfth century onwards the landscape transformed from an area with several relatively small towns into the densely built area that we now know. Focusing on the (re-)arrangement of public functions in city maps three phases of spatial dynamics can be identified: 1250-1450, 1580-1680 and 1870-1940. A long-term comparative analysis of nine cities shows the fascinating dynamics of the urban form. What were the main spatial characteristics and where and when did a re-arrangement of pulic functions take place? Creative hubs – vacant buildings, (temporary) housing groups of artists, designers and other creative minds – are often understood as catalysts for the start of urban regeneration processes. However, in practice these collectives turn out to be powerful in the long term as well. In their search for ideal conditions to work, they develop cooperative and sustainable models for the reuse of vacant buildings and areas. What lessons can be learned from these bottom up initiatives in the perspective of heritage preservation?